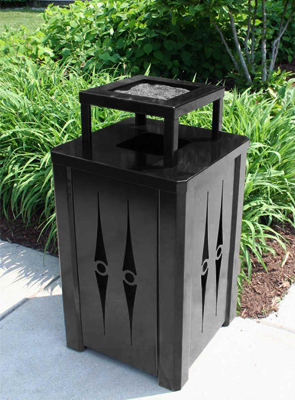 All steel commercial grade square trash receptacles that feature creative laser cutouts with circle accents to combine visual appeal and durability with efficient waste management. Pairs up beautifully with matching powder-coated steel planters. Available in standard popular color option to select from. 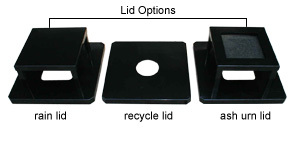 Plastic liner made from 100% recycled plastic is included.